FÍS NA Fuiseoige, the Galway film which won Best Cinematography at the San Francisco Earth Day Film Festival, will be screened at the Galway Film Fleadh, tomorrow at 11.30am in the Town Hall Studio. Fís na Fuiseoige/The Lark’s View, directed by Aodh Ó Coileáin and produced by Counterpoint Films, explores the connection between people and place, as expressed in Irish-language poetry and local lore. 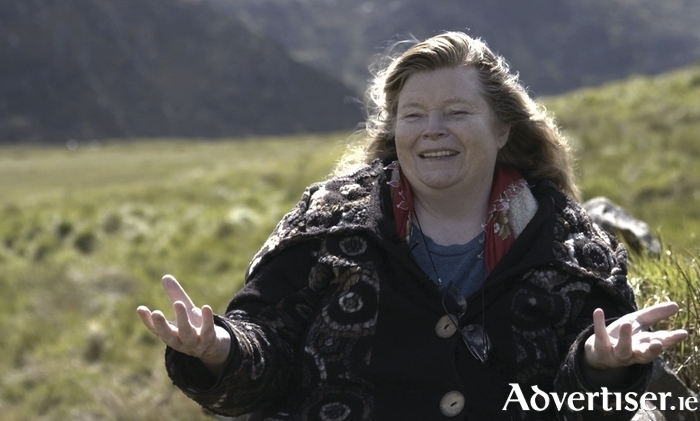 The film features interviews with Irish language poets, including Nuala Ní Dhomhnaill, Paddy Bushe, Biddy Jenkinson, Gearóid Mac Lochlainn, Cathal Ó Searcaigh, and Louis de Paor, about how landscape and locality have impacted on their writing. Also featured is Gaeltacht raconteur and broadcaster Seosamh Ó Cuaig. Fís na Fuiseoige was produced by Colm Hogan and Marina Levitina of Counterpoint Films, based in Headford. The director, Aodh Ó Coileáin, originally from Kerry, but now lives in Galway and lectures at NUIG, while the editor, Julie Flavin, lives in Furbo.